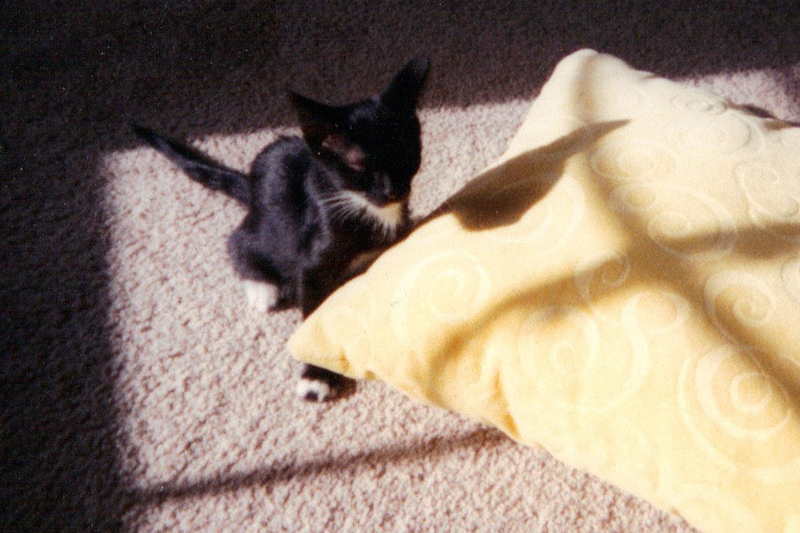 Scanned from old prints, Minky’s photos were particularly grainy and kind of smallish – making it hard to deduce details for Minky’s face. We all agreed upon this inspiration photo, with her sassy over-the-shoulder smirk, but needed to address the rug. Grass? Something yellow? Gadora used another rug all together. 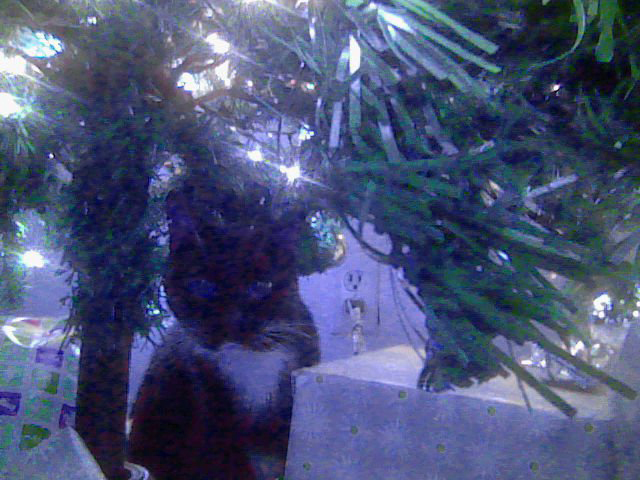 Here’s the Minks as a kitten, wide-eyed under the Christmas tree. 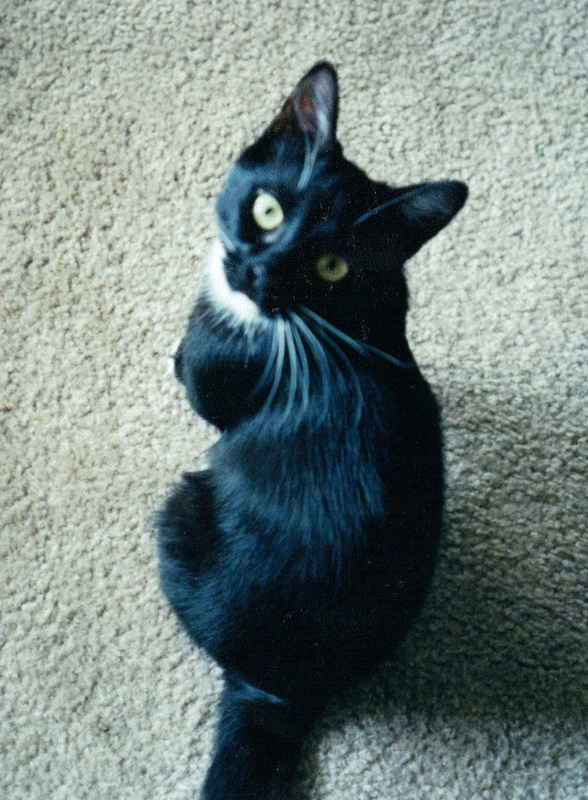 And here she is as a feisty kitten. Gadora hasn’t heard a peep from Miss Amy about her kitty’s portrait. But me thinks she’s pleased. It was a pleasure creating a wee little something for her to remember Minky Boodle by. 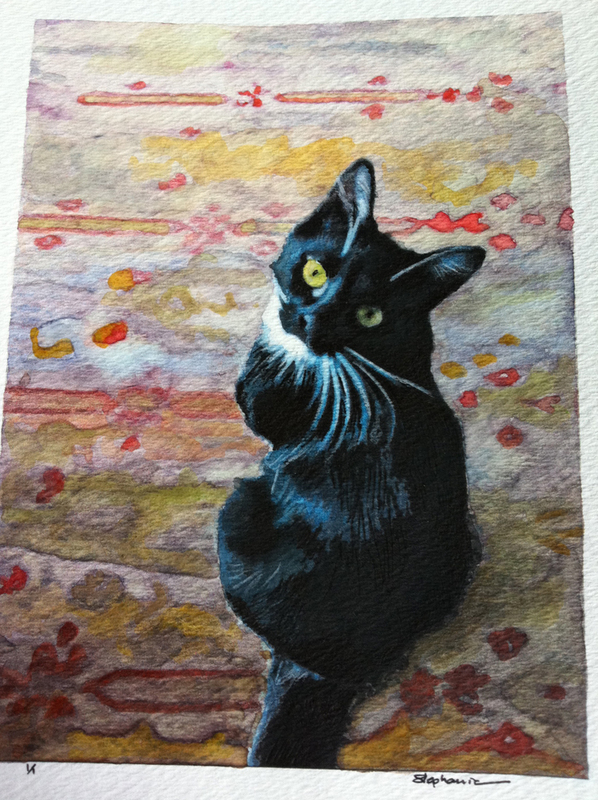 Posted on September 5, 2011 July 1, 2012 by gadorawilderPosted in ANIMAL PRINTSTagged animal print, kitten, water color. Previous Previous post: We are the world… chalk is my prerogative. glad to see you doing it! 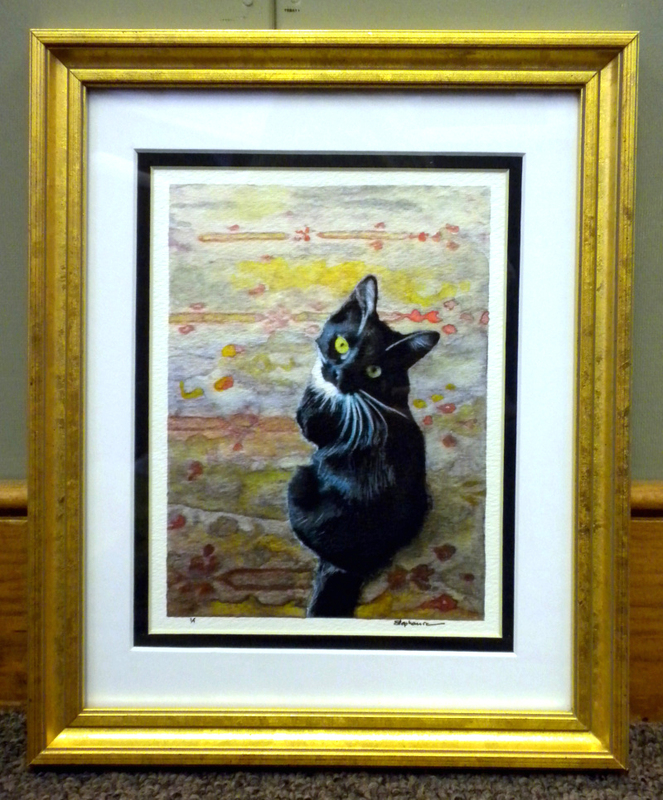 We really, really cherish our portrait of Minky. It means the world to us, and I am very sorry that I haven’t contacted you to say thank you. It is absolutely beautiful and now my most cherished possession. you did such a great job with this, steph. i love it so much and amy cried.